Hi guys! Here's another great giveaway for all of you. 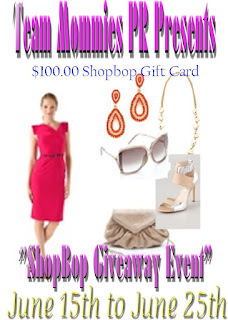 Diva Fabulosa and Beauty and Fashion Diva is hosting a very FAB giveaway! They are giving away an Apple Ipod Touch to one lucky winner! Enter the Rafflacopter below. Giveaway will start July 1 at 12:01 am EST – August 1 at 11: 59AM EST. OPEN WORLDWIDE. Sign up HERE. Sign up will close on 7/11/2012. Create a sign up post about this event and link to this page.Or submit $1 for your first entry to contact@mvmgroups.com if you cannot post. Skin Elixir Revive with Super Fruit Giveaway worth Php1300 for Philippine Residents only or 25 Paypal Cash for Other countries. To participate, please share this free event on your site and complete the form below. You will have one FREE link (Facebook page) for that. Additional link will cost $1 each. Sign up HERE . The giveaway will go live on July 15, 2012 and is open worldwide. We only have 2 days and we will say goodbye to June already. We will be entering the second half of the year and time flies so fast, Christmas is just around the corner, hehe. But I'll look forward to July first because this is our anniversary month. Come July 27, we will be celebrating our 5th year wedding anniversary but it is actually our 9th year of being in love. I have learned a lot from my husband and one important thing I learn is to accept things at it is and learn when to give up. I am always a fighter and I don't easily give up. Even I am quiet most of the time, I am thinking of ways how to make things and succeed. However, when I don't get what I want it leads to disappointments making be vulnerable to negative feelings and stress. I always told my husband "kung gusto may paraan at kung ayaw maraming dahilan" (if there's a will, there's a way). Though it is true, I discovered that we have our own limitations and that if it's not meant to be, it will never happen. After years of living together under one roof, I finally learned to accept things as it is. I don't push myself too much, nor I push him too much because I trust God and we let Him lead our way. Maybe you are thinking we have a smooth sailing relationship because of the almost 20 years of friendship. Well, different storms had passed by our home, I almost give up one day but I realize giving up will never be a solution. So I choose to fight for him and our love, but I cannot succeed without him working too. I am glad he never give up too. God is really good and He gave us the biggest blessing of our life unexpectedly but just in time. After two years of being parents to a cute little boy, we learn more and we become selfless. I learn to appreciate little things, I learn to love time and I learn to be happy even with my failure. I always believe that happiness is a choice, that's what I believe. You can make your own happiness. First, don't carry grudges in your heart because it is like holding a flaming charcoal in your hands, the longer you hold it, the more you get hurt. And what about the people you hate or angry at? They don't know and care about that. They don't feel your pain so why hurt yourself. Free yourself from hatred. I honestly admit that I am a worrier. Yes I am and I worry about so many things that have yet to happen. But I trust God, so I learn to not worry much. I know God has always a purpose for all the things that happen in our lives and that he doesn't give us a burden we cannot carry. Also, worries doesn't help us in any way and it will just make us a paranoid. Free your mind from worries. I am a dreamer and there's nothing wrong with that. I used to dream about a rich life when I can sleep all day long without worrying about my future. I am also hoping to win a jackpot from Lotto, though I don't really play it, haha. But then I realize if ever I win a mega million jackpot, that's millions of pesos. Where the hell can I safely store those??? Lol. Just thinking about having millions of pesos, I fear that my life will be complicated so I am just contented with my life now. I love my life, I have a wonderful husband, a cute son, a supportive family, a good work, a nice blog (please agree with me, haha), and an emerging business. What can I ask for? Well, I want a baby girl in the future in God's time. Live simply. 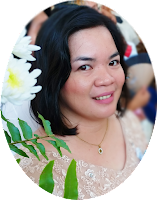 I am the eldest in the family and naturally, I am the one who always give especially when I always have something to share. I always believe that it is better to give than to receive. Okay sometimes, I love receiving too, who doesn't anyway? Lol. Give more. When I give, I learn to not expect in return. Always give from your heart and don't expect that you will receive something in return. In this way, you don't get depressed right? Too much expectations often lead to disappointments. Just what I have said, learn when you will give up and what is your limitations. Remember that life is an echo, whatever you give, life will give it back to you. Let life do it for you. Expect less. Do you want cash? Sure you want right? So I have sharing you this great giveaway! Enter the Rafflecopter HERE and follow the instructions. This giveaway will run from June 16, 2012 to midnight July 16th. Winner will be notified via email. When you leave a comment with your name and email address please don't forget to tell that Maye Domencil of Momaye's Diary referred you. You can leave the URL of my site there if you want (http://momayes.blogspot.com). Wow, this is very hard because I am thinking of so much things to do now and before I get old. 2. I want to learn crocheting. Since I will grow old, I better learn to crochet before I loss my memory and control of my hands because of rheumatism. Lol. Honestly, it is more than that. As I already said above, I want to make a product that Momaye's Shoppe will be known of. That is why I am learning different handcrafts, and crocheting is one of them. I actually have an idea of what product to do and one of these days I will disclose that with you. 3. I want to travel with my family. I want to go to Disneyland with Matthew and Daddy soon. 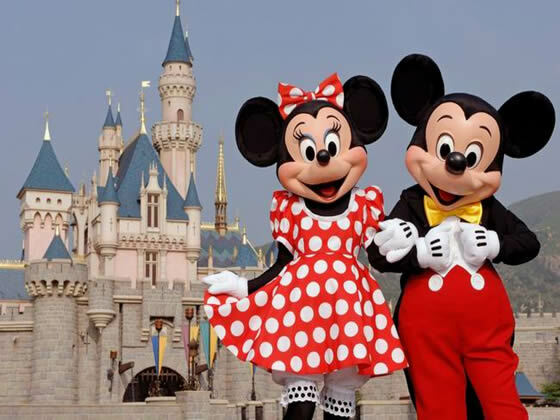 I am sure Matt will love to see the real Mickey Mouse. I want to see the real Chocolate Hills. I want to go to different places here and abroad, unfortunately I can't do it now. But I promise myself, I will do it soon. 4. I want to have grandchildren. Seriously yes, I want to have grandchildren before I grow old. I want to take care of them and play with them. I want to know if it is true that you will love your grandchildren more than your own children. That I want to know before I grow old and I can never run after my grandchildren anymore. 5. I want to own a farm house. We already have our own house now, but Daddy Allan and I wanted to have a farm where we can raise chickens, goats, cows and plant trees, vegetables and different flowering plants. I know Daddy Allan loves planting so even if we don't have a garden at home he still plants in a pot or empty milk cans. Since he could not make it grow like a trees, he make them into bonsai instead. That sums up the 5 things I want to do before I grow old for our BC Blogger Meme this week. If you want to be part of our blog CommEx and Meme, join us HERE. 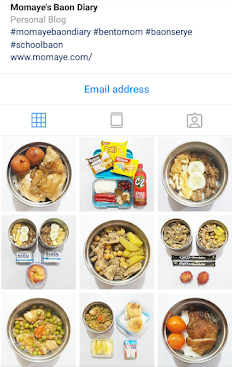 Guys, let me share this great giveaway! teamed up with 13 other Awesome Bloggers to bring you this giveaway! I was given the opportunity to review 2 T-Shirts from CrazyDogTshirts.com & NachoMamaTees.com. I was originally drawn to these two websites because of the unique saying/image of each shirt. Who don't love a funny t-shirt? My first choice was the "I Illegally Downloaded This T-Shirt" shirt, which you can find in the Funny T-Shirt section of CrazyDogTshirts.com! Everyone loves the Internet! Show your love for computers and that you're a risk taker when you need to be, when you rock this funny tee. This funny shirt is perfect for the computer lover in your life. The t-shirt brings out your personality without saying a word. I spend a lot of time on the computer, I do download music, movies, games and more! I am a T-Shirt and Jeans type of gal, so I requested size XL -Mens. Machine Wash Cold, Tumble Dry, Do Not Bleach! -I can handle that! I found the sizing chart and t-shirt care instructions to be true. Chest is measured 1" below armhole. Body length in the front from highest point of the shoulder, Sleeve length from shoulder edge. Machine wash cold, Do not bleach, and Tumble dry low. My 2nd t-shirt choice was the "Snuggie T-Shirt" which you can find in the "Best Seller's" section of NachoMamaTees.com ! I am a stay at home mommy to 3 wonderful children, a wife of 10 years to a great husband, and spend much of my time in my pajama's. If I leave the house I will get dressed, but as soon as Im back at home I put my jammies back on. So when I seen this shirt I knew it was for me! With this "Snuggie T-Shirt" , its like wearing jammies outside of the house, and everyone who knows me know's it fits me perfect! -they all got a giggle outta it. **Goal Accomplished** Again super soft, streachy, comfortable, a perfect fit. Snuggie t shirt is here! No it's not a blanket! You can use it in your home, on the road, in a dorm, at the big game and in the bathroom. The blanket/reverse robe that is sweeping the nation with the shamwow. How can you live without one and without this funny snuggie shirt. They have a variety of Hilarious T-Shirts for everyone! Also check out their selection of "$9.00 SALE T-Shirts"! CrazyDogTshirts.com is kind enough to offer a $15 Gift Card to use on their website. 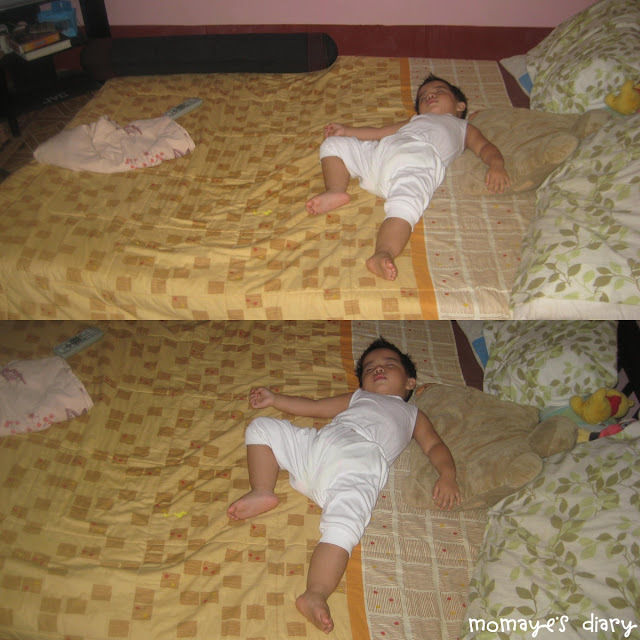 We have been co-sleeping for two years now and I already used to it na. I already used to the "soft" kicks and punches I am often receiving from our little son. Lol. Are you co-sleeping too? Care to share your co-sleeping stories? I had my nails polished again after so many weeks. I don't need to go to a salon for this because I have my own manicurist at home, hehe. Sign up HERE. Giveaway is open Worldwide (note: if a winner is selected outside of the US, they will be responsible for shipping costs and fees added by their country). The giveaway will start August 3rd and ends on August 24th. Please don't forget to write Momaye's Diary who referred you. Thanks! Last Saturday was Matt's vaccine day. He had his Pneumococcal vaccine that day. We had to go to office still because Daddy had a meeting pa. Since it was a Saturday, I told Daddy why not bring Matt along with us instead of driving back home again. So we did and at first behave sya. We brought his Mini Tuktuk so he can play and roam around. He did walk around but he had his head hit two times to the corners of the tables. So I just let him sit beside me but he kept on opening the drawer of my table or tapping my PC's keyboard or clicking the mouse. Hehe...Anyway, I was happy because he charmed my colleagues by singing his favorite Syempre and nursery rhymes. His laughter is contagious that everyone is laughing and smiling. P.S. 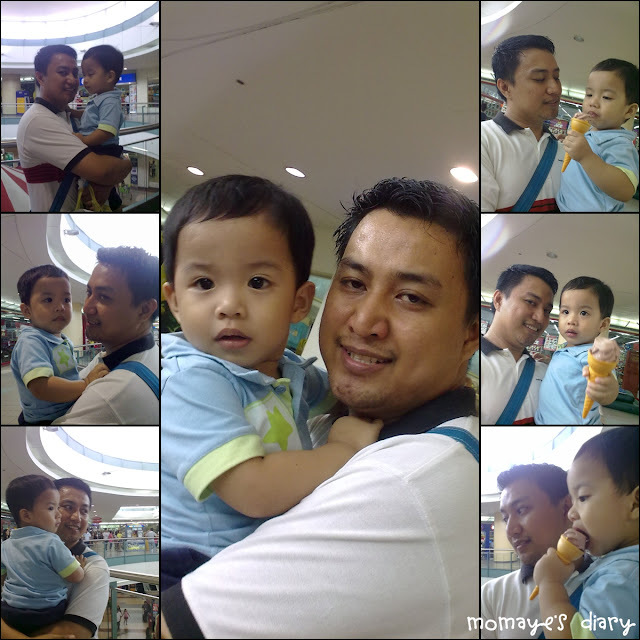 : Please help Daddy Allan and Matthew win MomCenter Phil. 's Daddy and Me photo contest. Click HERE to like. Thanks a lot! Sign up HERE. Giveaway will run June 25th (12:01am cst) - July 9th (11:59pm cst). You will have one FB link for FREE. Additional link costs $1.00 each additional link (up to 2) -Twitter, Rss, Email, ect (no GFC). 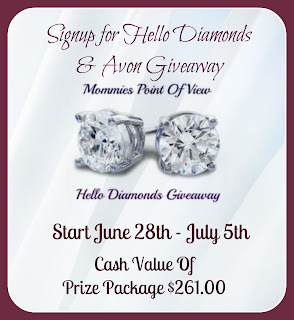 "Hello Diamonds And Avon Giveaway"
Your participation in the event will help you with your social media reach and help you gain traffic. When I became a mother, I suddenly transformed to a Super Woman. I wish I really am so I won't get sick. I can't afford to be sick right now or ever. But Mommy Maye finally give in, and cold virus already entered my system. I do my best to stop them but I think the weather plus the stress I went through last week for Matt's birthday makes my immune system a little weak. I will definitely miss cuddling with my son for I am off limit to him right now. I hate this feeling! I hate limiting myself and no, not with my son's hugs and kisses. So, I am praying and trying to rest. Hopefully colds will just stay colds and not go to flu. This time I really need a rest or I'll end up totally bed ridden for the coming days. By the way, I want to share this: How to Really Love Motherhood. I love being a mother and as I always say, it's a job I don't dream of but now that I tasted the happiness it brings, I never want to keep. Toinks! Now I understand why there are mothers who cling to her children even when they are all grown ups and have their own families. For now, we should not stress our self too much. 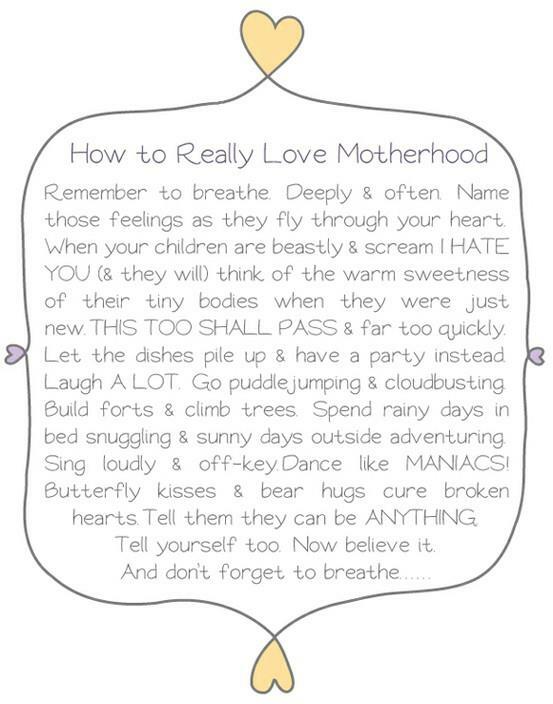 We are mothers and we are suppose to enjoy and love motherhood. Happy Sunday! I hope I get better soon, I miss my son so so much. Sorry, I almost forgot these to post. Here are the photos of the two handsome guys of my life last Father's Day. 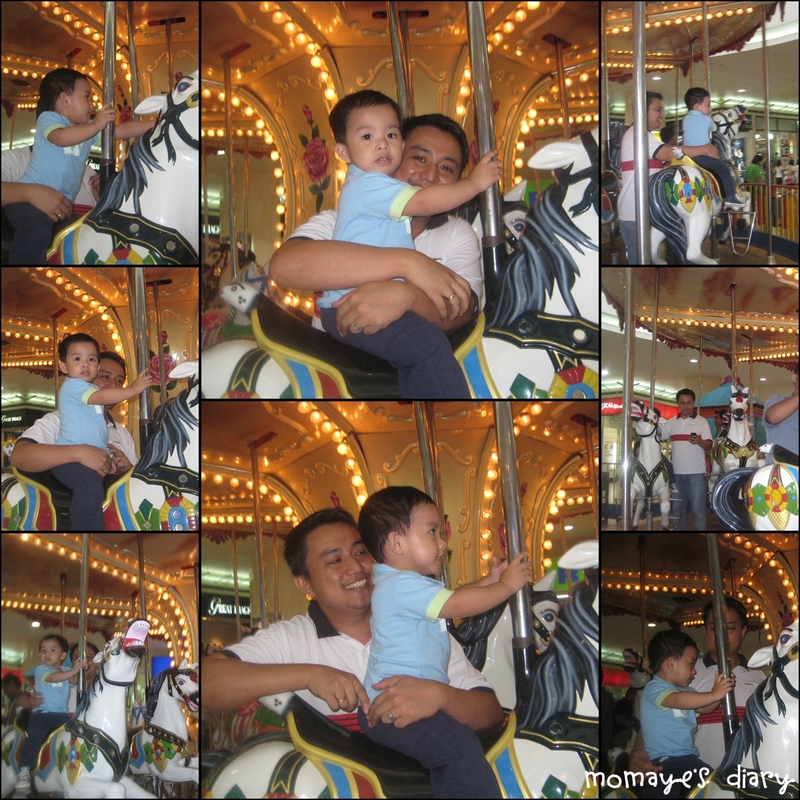 The two guys riding the carousel. Looks like Daddy Allan enjoyed the ride too. The two guys eating ice cream. Oh no, Matt won't share the ice cream with Daddy. Happy Saturday! Enjoy the weekend. It's Matthew's vaccine day. We are implementing the 5S Program in our Feedmill come July. We are actually doing it in our laboratory and we are following the "Clean As You Go" or CAYGO policy. We come also to a point when we implement fines of 5 pesos on each thing and trash you leave in the working area that supposedly should not be there. 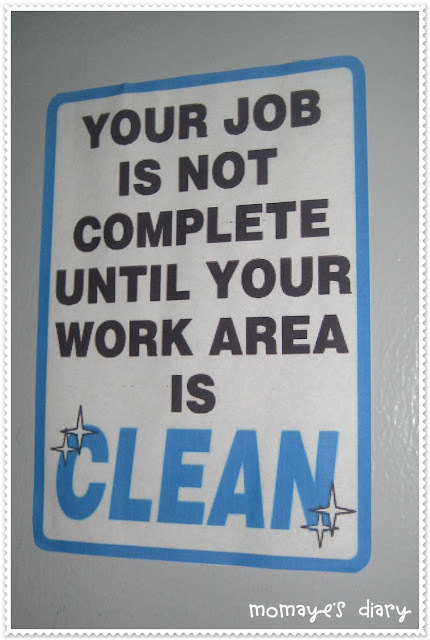 We are trained to put back all the things to its right place and throw all the trashes after work. I was actually caught two times only, haha. At home, we also training Matt to do this. We let him put back his toys after playing, same with his shoes and slippers and milk bottle too. I find it really cute when he try to organize his toys and things. Did you also do the CAYGO at work or your own home? Looks like we are lucky today because this will be the third FREE Blogger Event of the day. $200 Amazon Gift Card *1 winner*. Sing up HERE. First Link is FREE (Facebook only). The giveaway will go live on July 15, 2012, and is Open Worldwide. Sharing again another FREE Blogger Event. Yey! To participate, please schedule the giveaway post. You will find the HTML and other information on the sign-up form. First link is FREE (Facebook ) and for additional social media links, the cost is $3 each (Twitter, Pinterest, Picket fence vote for this giveaway, please send the fee to the host’s Paypal ID which can be found on the sign-up form. Don't forget to write down Momaye's Diary when asked “Who referred you to this event?” on the bottom of the sign up form.